Today's review is the Pro Plan from HelpTeaching.com. If you are not familiar with HelpTeaching.com, they offer a large variety of printable worksheets and tests for grades K-12. They offer worksheets and online testing in many subject areas including Math, English, Science, Social Studies, Art, Music, and more. The great thing about HelpTeaching.com is you can access their website and some of the printables absolutely free. You are limited to adding 10 questions on your customized worksheets with the free membership. 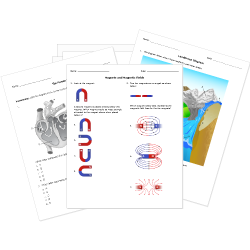 The Pro Plan offers you the option to add up to 100 questions on your worksheets as well as access to pre-made premium content including the option to add quality images. In this screenshot you can see that the worksheets with a lock are only accessible with a Pro Plan. 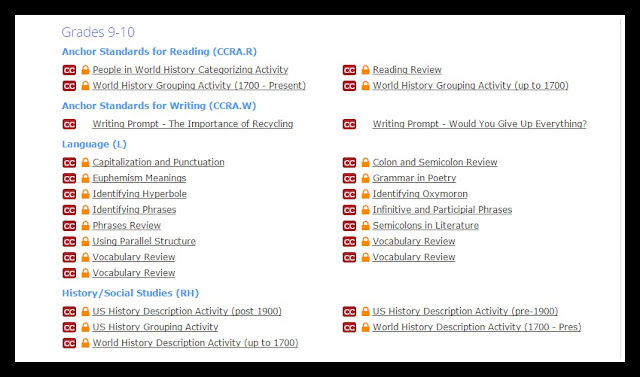 A lot of the content available is aligned with Common Core Standards. By clicking on the CC button, you will be given the standard that the worksheet meets. We don't follow those standards but I know some schools do so if you are supplementing for a child who is in school, you will find lots of great help here. Another great feature of the Pro Plan is the option to assign lessons to your children by email or by just sharing the link with them. When making up quizzes or tests, you have the option to add your own unique questions or choose from a huge inventory of questions already made by other users. I thought that was such a unique feature to really customize the tests to supplement your current curriculum. 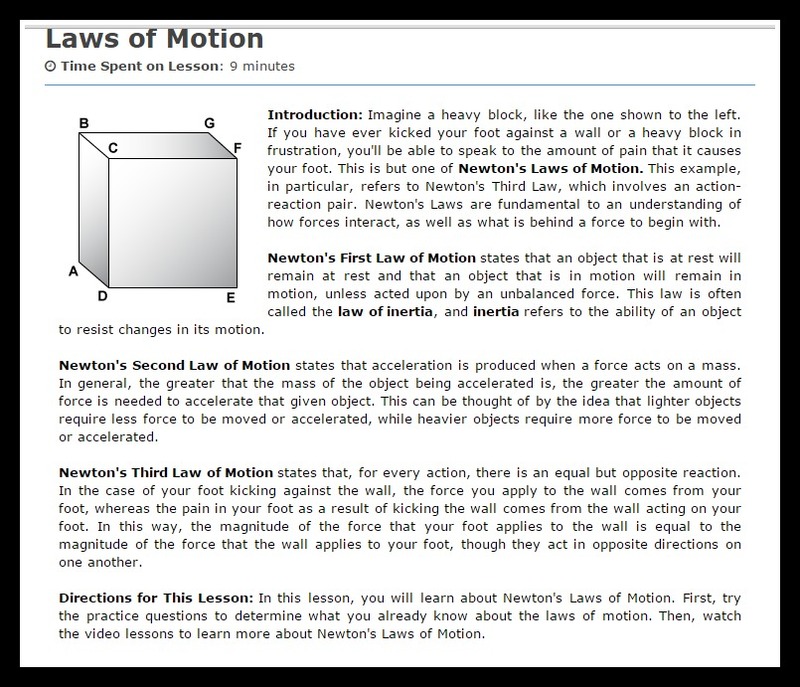 In our homeschool, I would assign my 9th grade son lessons to supplement his current science curriculum. 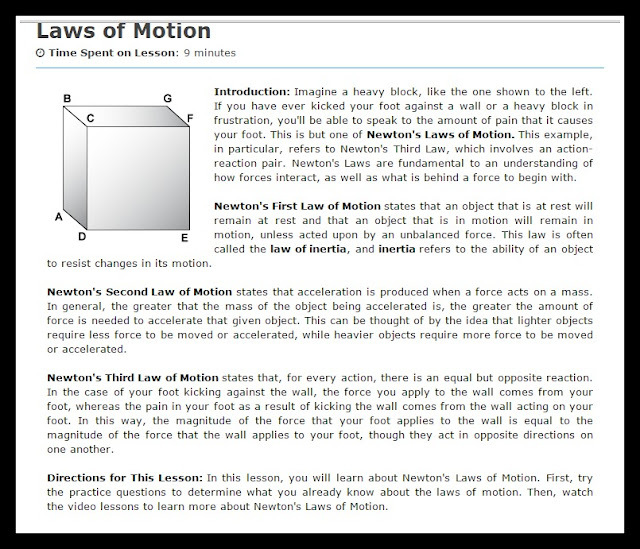 For example, he was studying Newton's Laws of Motion so I searched to see if there were any topics available to cover that subject. I assigned a few by email to see how it worked and I can see how this would be a great option for high school students especially. You could give them there assignments at the beginning of the week and be done until the end of the week! When making the tests you can choose to add in multiple-choice, open-ended, true-false, or fill-in-the-blank questions. 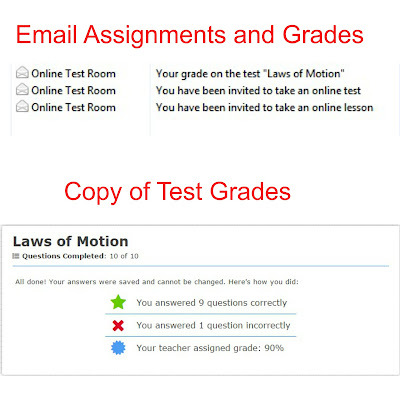 The multiple choice and true-false are automatically graded for you. 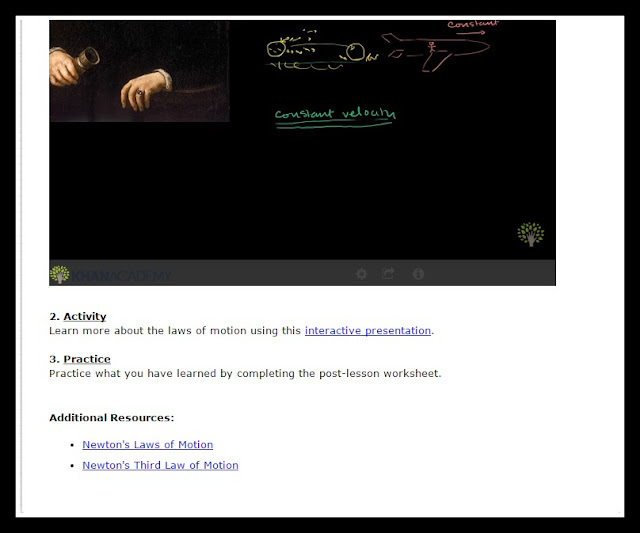 As you can tell, some of the lessons include visual properties including videos, video links, and game links. 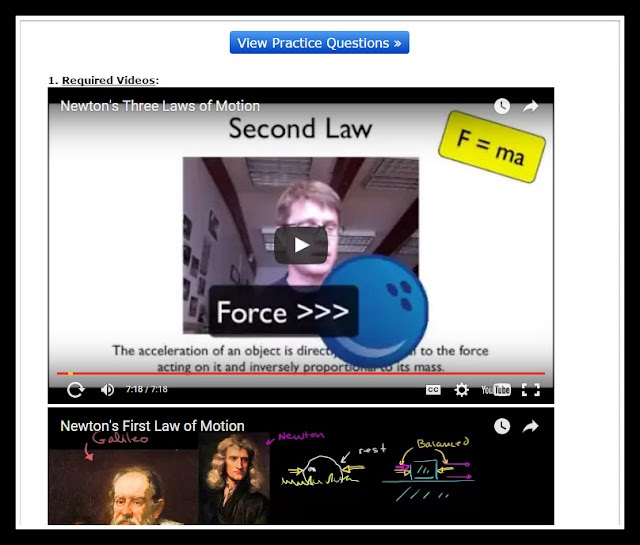 A few practice questions are included to see what the student already knows. After the student finishes the lesson, you can assign a quiz on the lesson and again that can be sent by email or by just giving them the link. 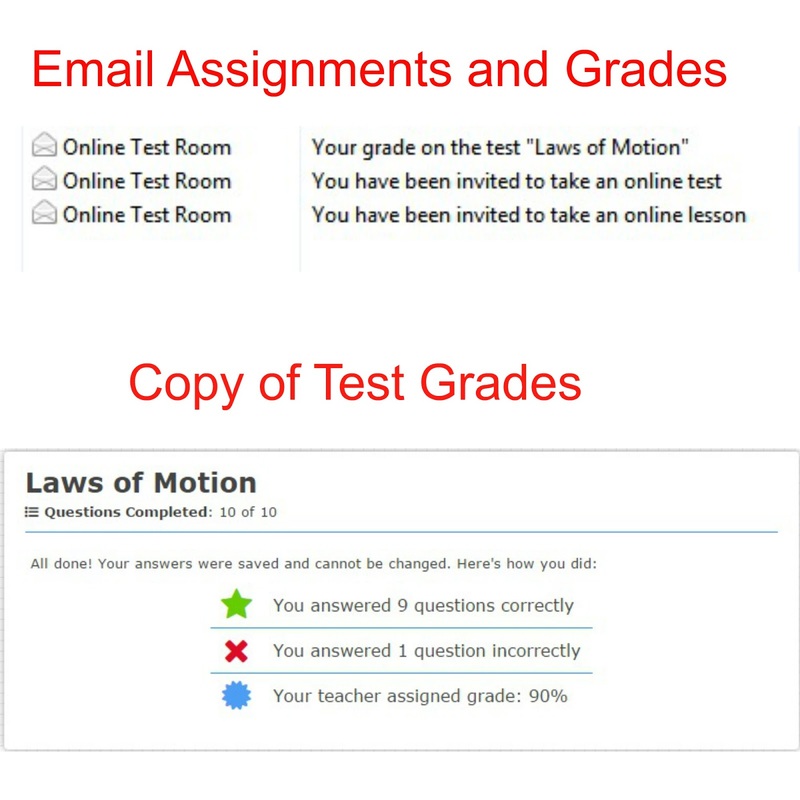 Here is a sample I snapped of the email assignment links and the final quiz score when finished. I love the independence that HelpTeaching.com allows. HelpTeaching.com offers several different options to meet the needs of homeschoolers and parents including tests, worksheets, lessons, games, test maker, and online testing! 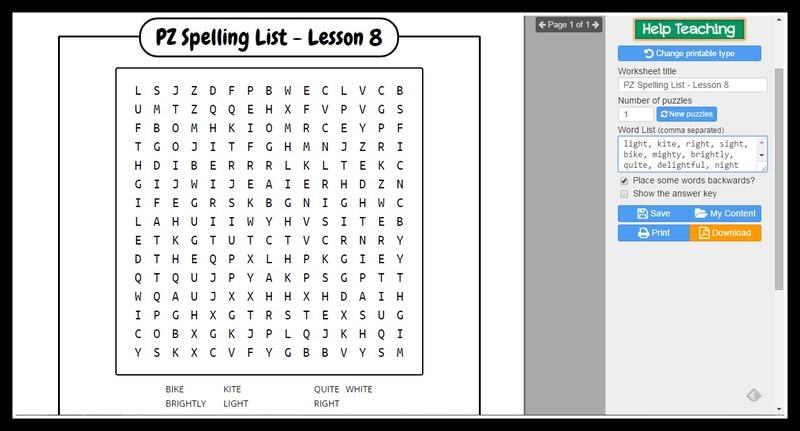 I also used the games section quite a bit with my 7th grader who loves word search puzzles. 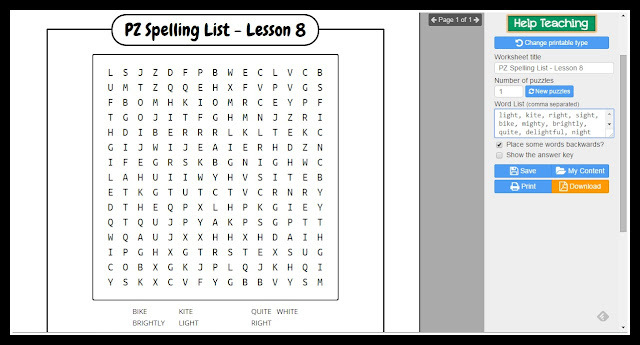 Each week I would use her spelling words and make them into a word search puzzle. You simply type the words in separated by a comma and the puzzle is made for you! You can print the puzzles, download them for later, and store them in the section labeled my content. It also gives you the answer key. Word searches are not the only game sheets available. There are also bingo cards, word bingo cards, math practice sheets for addition, subtraction, multiplication, and division. There is so much content available at the HelpTeaching.com website. I think we've only just begun to explore all the options and uses available! I know the grammar worksheets will be put to use as we practice for end of year testing soon. Overall, we would highly recommend the Pro Plan as a valuable resource to any homeschool or parent. You can purchase the plan for only $24.95 for an entire year and use it with all of your children making it very economical. To find out more about HelpTeaching.com visit them on Facebook, Google+, Pinterest, and Twitter.